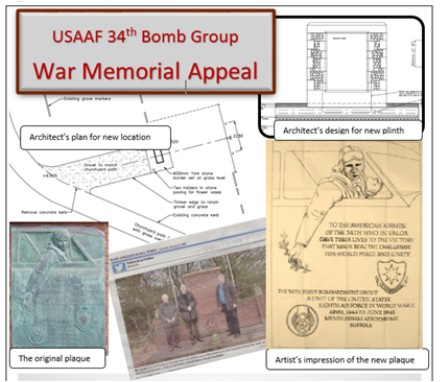 Since 2014, further research has revealed that the number of airmen of the USAAF 34th Bomb Group who were stationed at the Mendlesham Airfield in WWII who lost their lives in the conflict numbered 262. Their names are recorded in a chantry book in St Mary’s Church. In 2010 the original beautiful bronze memorial in memory of these brave men was stolen from its site on the A140. After much consultation the Parish Council agreed to resite the memorial on land donated in the churchyard of St Mary’s Parish Church. The specially-commissioned design directly reflects and enhances the original and is constructed in brick and flint. The central plaque is carved in green slate, rather than bronze, to deter any future despicable acts of theft. We believe the new memorial is a fitting tribute to those who gave their lives for our freedom. 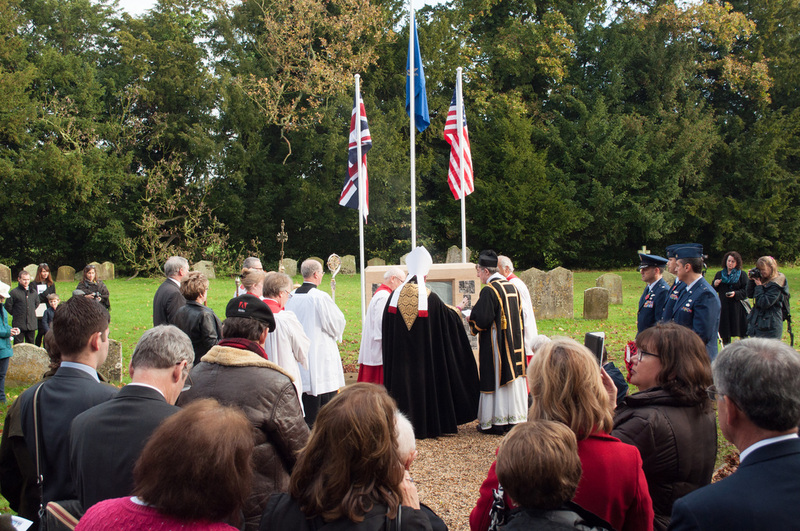 The BIshop of Richborough blessed the memorial on Remembrance Sunday, 9th November, when we welcomed some of the veterans together with their families from the US. Over £27,000 was raised - This included grants and private donations, both from the States and local people.